I just had to share these two cuties. 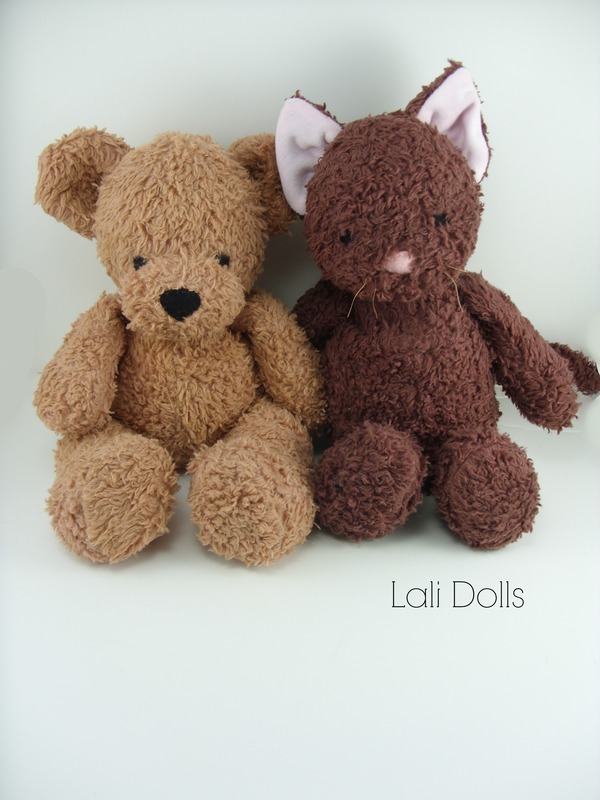 One dark brown kitty and a tan Teddy bear with long fur. They’re so cuddly and soft. I hope they give lots of snuggly hugs to their new family. If you’re interested in purchasing your own custom animal, we are taking a few orders through our website here.